Classic-Tackle prides itself in stocking and providing the finest in antique angling tackle and accessories in East Anglia. 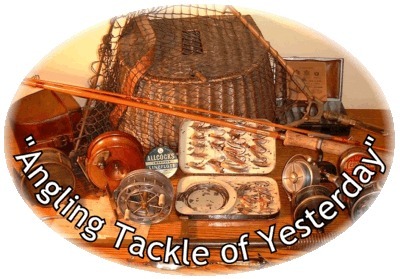 Whether you are looking for standard tackle, specialised/rare items or new collection accessories feel free to browse our on-line all inclusive catalogue. We will research your individual request and order the requested item and/or tell you where you can find the closest dealer in your area. In addition, I also buy items of tackle and accessories and offer reasonable prices. So if you have any unwanted tackle please email me with the details. I will also consider exchange deals on a case by case basis. If you can't find an item you are looking for utilise our on-line request/feedback email facility. I can also be contacted by telephone at 01485-544284 (Answerphone) /Mobile: 07880-507540. Thanks for visiting, please come back again. Copyright © Classic-Tackle 2002. All rights reserved.